First, a quick flash-back on how things came to be. HFT was inevitable. As technology strode ahead, it was bound to find its way into the financial infrastructure and reshape the way traders do business. Being able to message a trading venue in an automated fashion brings about economies of scale and being able to (legitimately) trade faster than the average investor, brings about profits. It’s no surprise then that tens of millions of dollars have been invested in high-tech gear, whose sole purpose is to shave off milliseconds from trade execution times and reap the enormous benefits of “being first” in the marketplace. And it’s no surprise that HFT is penetrating ever more markets for exchange-traded or platform-based securities or contracts. For instance, it is now estimated that HFT accounts for well over 50% of the traded volume in US stocks and between 20% and 40% of the volume in European equities, including the UK. This trend is likely to continue: as derivatives markets become increasingly amenable to centralized, electronic trading, HFTs will find it easier to penetrate the vast realm of credit and interest rate swaps. So stay tuned. Interestingly, HFT did not only bring about changes in the trading landscape but in the natural one too… Sensing the new quest for speed, various entrepreneurs have been seeking to link the trading venues and data centers with each other, using ever faster connections, so that HFTs might engage in all manner of cross-venue activities. This technological race started off with fiber-optic cables. Instead of following the cheapest route by laying fiber along riverbeds and around mountains, one now had to follow the shortest route by instead digging under riverbeds and drilling through mountains. It was not long before, however, that it became clear that microwaves enabled yet even faster transmission. Thus, the second stage of this technological race dawned whereby the new goal was to erect new (or occupy existing) antennas that lay along the shortest path between venues. 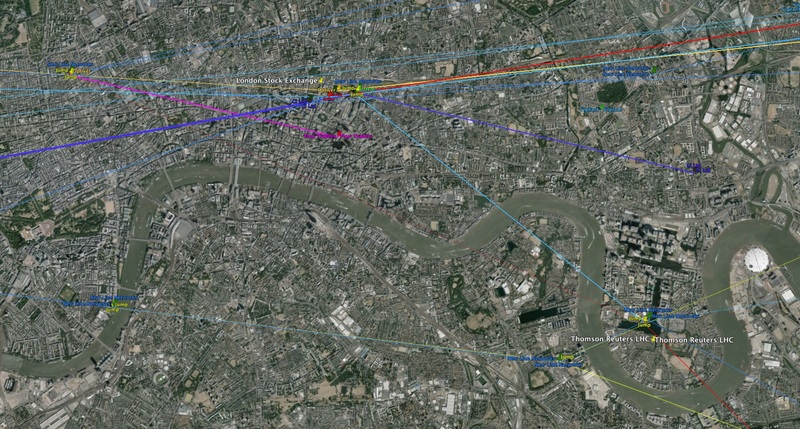 Figure 1, courtesy of Alexandre Laumonier, shows a map of some of these antennas and signal routes used by HFTs in downtown London. Figure 2 and the associated table, depicts the evolution of links between the data centers of the Chicago Mercantile Exchange (CME) in Aurora, Illinois and the New York Stock Exchange (NYSE) in Mahwah, New Jersey. You can see that all this effort resulted in reducing round-trip signal transmission time (latency) from 14.5 milliseconds to 8.5 milliseconds. It takes about 400 milliseconds to blink your eyes. Given the large sums invested in HFT technology and the rapid growth of HFT in a number of financial markets, it is natural to ask what impact all this has on market quality. By market quality one typically means two things: price efficiency and market liquidity. The first characterizes a market where prices more accurately reflect economic fundamentals while the second characterizes a market where one can trade a reasonable quantity at a low cost. You are right to have guessed that these two are linked. There has been a lot of work (both theoretical and empirical) analyzing the impact of HFT on these two dimensions of market quality. So, here is what this work has concluded so far. 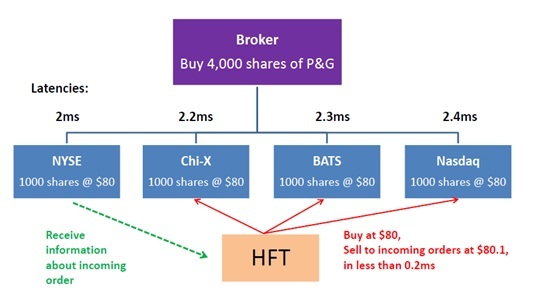 The empirical evidence suggests that HFT activity makes prices more efficient. What seems to be at work here is actually pretty basic: utilizing technology, HFTs are able to acquire, process and trade on information faster than the average market participant. As such, they gain a temporary information advantage which they profitably exploit. From hindsight, all this is hardly surprising: if anyone is to make money by directional trading, they have to be able to make more accurate predictions about future prices than their counterparties. This implies that they must have superior information which is then incorporated into prices the moment they choose to trade. Thus, to the extent that HFTs do make money, their trades are informed which also helps prices become more aligned with economic fundamentals. However, one way this whole paradigm can fail, is for HFT algorithms to become entangled in unintended and unpredictable ways. 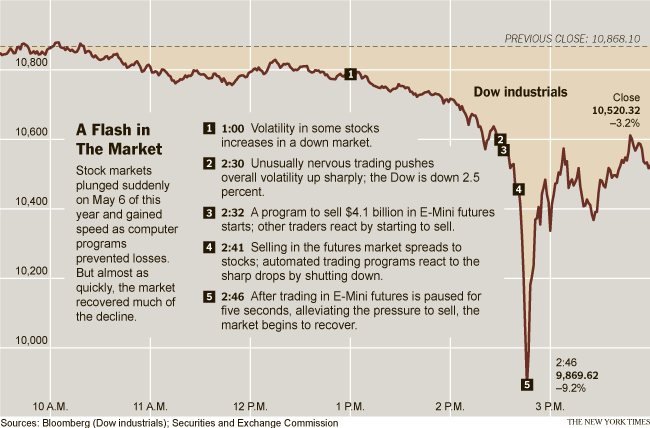 For instance, according to US market regulators, the May 6 2010 “Flash Crash” in the US markets appears to have been caused by the interaction of a flawed low-frequency algorithm with HFT activity. Nevertheless, research by colleagues and myself, on HFT activity in UK stocks, suggests that although HFT trades are indeed correlated, they are not associated with price reversals, which would be indicative of excess price pressure. Thus, it’s unlikely that entangled HFT algorithms can cause flash crashes on a frequent basis, at least during normal market conditions. The evidence also suggests that (market-making) HFTs have contributed to improved market liquidity, as measured by the quoted prices at which one can trade (the bid-ask spread). This has happened for two reasons. First, being automated, market-making HFTs have lower operating costs which render them more competitive than traditional market-makers and can thus afford to quote a tighter spread. Second, they can cancel and withdraw quotes faster than traditional market-makers. This implies that, when the market moves, these quotes are less likely to be stale and to be executed at a disadvantageous for the HFT price. In other words, HFTs are less likely to be adversely selected. This limits their potential losses, allowing them to quote yet tighter spreads. Of course, the above argument relies on the market-making HFTs being faster than whoever it is who trades at their quoted prices. If their counterparties – who may well be HFTs as well – are as fast (or faster) than the market-making HFTs, the argument runs in the opposite direction and liquidity deteriorates. Nevertheless, the evidence so far points to liquidity improvements because of HFT activity and a reduction in execution costs for the average investor. This is all good, except that not everybody is happy: some institutional investors, who typically execute larger orders, complain that their execution costs have gone up. And they blame the HFTs. So what’s going on? The short answer is nobody knows for sure and further research is in order. One potential explanation, brought home in Michael Lewis’s “Flash Boys”, is illustrated in Figure 3. If you are a large investor, chances are that, in the modern fragmented trading landscape, your order will be split and routed to multiple venues for best execution. This implies that not all your order messages will arrive simultaneously at the various venues, given the different cable lengths connecting your computer to these exchanges. This allows an HFT to spot the first message when it arrives, anticipate that other messages are on their way in other venues and pre-position itself in these other venues by buying low and selling to you at a higher price. Thus your execution cost goes up and you naturally blame the HFTs. So, abstracting away from conduct issues which I do not consider here, is it OK from a market quality perspective that HFTs engage in order anticipation? Institutional investors might argue that their large trades and longer-term bets are beneficial for the entire market and therefore their trades should somehow be protected. On the other hand, HFTs might argue that they are simply reacting quickly to publicly available information. Qualitatively, they are doing nothing different than assimilating, interpreting and immediately trading in response to public information that may signal a large order in (say) the next hour or so. The devil’s advocates would say that by anticipating the orders of institutional investors HFTs actually make prices more efficient…. Evangelos Benos works in the Bank’s Financial Markets Infrastructure Division.